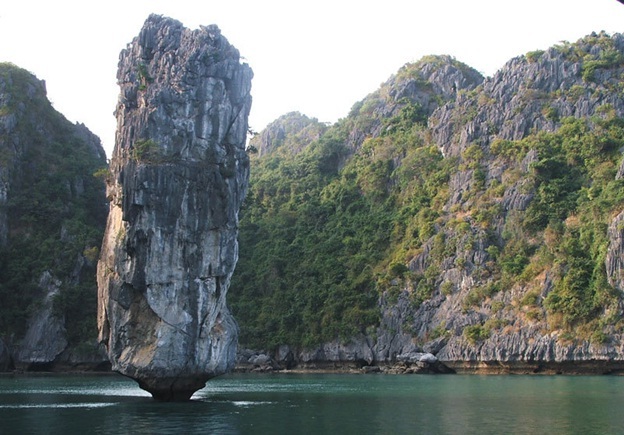 If travelers really want to enjoy the complete beauty of Halong Bay, it’s a must to climb Bai Tho Mountain. Bai Tho Mountain, which translates into “Poem”, is located on Halong Bay’s coastline and lies at the heart of Halong City, Quang Ninh Province. Full picture of Halong City surrounded by the mountain would be observed by travelers, including the city and the bay once climbing to the top. Dated back from 1468, during his inspection tour to the eastern region, Le Thanh Tong King stopped here. 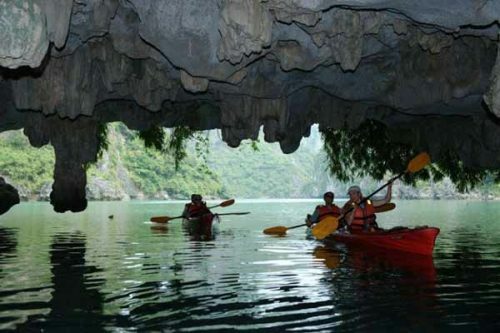 Inspired by the stunning beauty of Halong, the King wrote a poem and had it carved into the southern side of the mountain, hence its name Bai Tho (Poem). In 1729, Lord Trinh Cuong composed a poem in response to that of Le Thanh Tong King and also had it carved near the former. The mountain features other poems by Nguyen Can and some other poets. An amazing large stretch of sea and land can be seen while we explore the mountain. It was built as a place to worship Buddha, but it also has altars that are dedicated to the warriors of the Tran Dynasty and to the Holy Mother of Three Palaces as well. 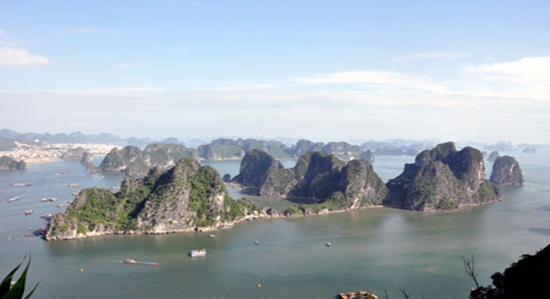 Atop of Bai Tho Mountain, you will feel surprised at the magnificent landscape of Halong Bay with the immense emerald waters, of rock bobbing, of high sky, of surrounding flowers and trees in the background. 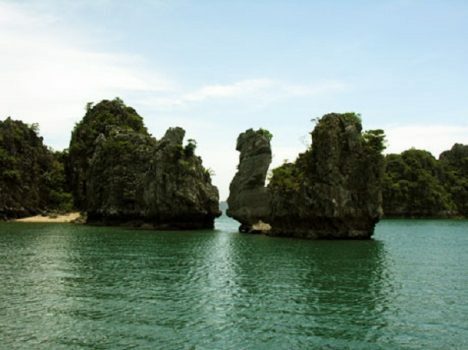 Bai Tho makes up one of the beauty spots of Halong and it is a wonderful place for visitors to relax and enjoy the view indeed.